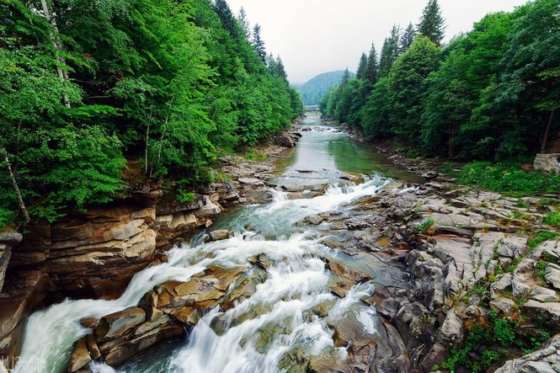 The beautiful Carpathian Mountains are home to sweeping green forests, flowing rivers and breathtaking waterfalls –it’s hard not to feel at one with nature when you breathe in the fresh mountain air... This is the land of the Hutsuls, Boykos, Lemkos and other native ethnical groups whose colorful folk culture is laced through thin villages stretching along wide valley floors. 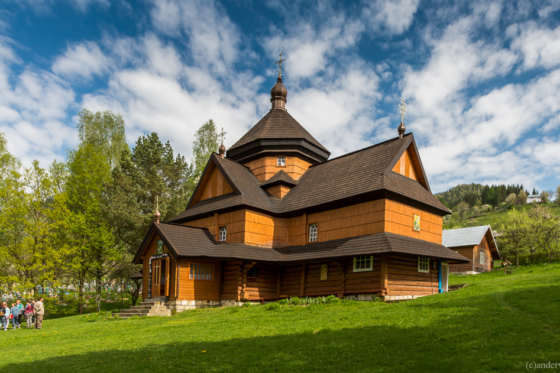 Join us for a 4-day trip to one of the most beautiful places in Ukraine, to admire the mountain scenery, experience Hutsul life and culture first hand, taste local delicacies, and step back in time... This short Carpathian Mountain Tour is the perfect add-on to your journey through the Ukraine, or makes a great trip on its own to this wonderful mountain region! 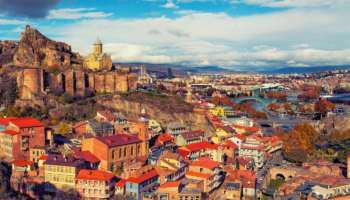 We will set off on our mountain journey from the beautiful city of Lviv.... Marvel at the sweeping green forests, flowing rivers, and quaint villages as we head up into the mountains by bus up to Yaremche. Upon arrival, you will be greeted the traditional Ukrainian way - with bread and salt! 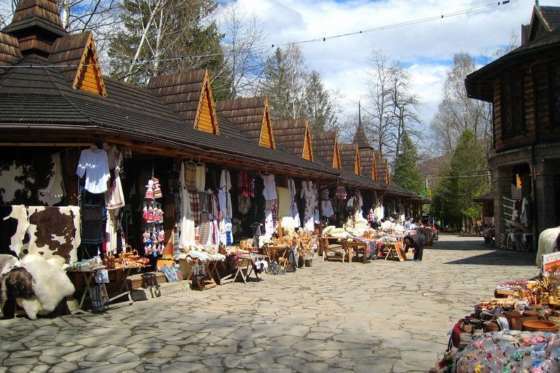 Then we will introduce you to the fascinating Hutsul culture, with a wander round the Yaremche Crafts Bazar. Set above the torrents of the Prut River, at this bazar you can see where the locals skilfully produce all kinds of local handicrafts - from Pysanky (Ukrainian Easter Eggs) to jewellery boxes, pottery and embroidery, leather goods and much much more! We hope you left room in your suitcases for souvenirs! Then, that evening, you will experience true Hutsul hospitality at a special Welcome Dinner! Get ready to try all kinds of local delicacies – banosh, a maize dish served with brynza – a local home-made sheep’s cheese. Trust us, it’s delicious! Today we will head for the beautiful town of Kosiv, with a few scenic and cultural stops along the way... We promose, you will get a good taste of Hustul culture today! After breakfast, we will set off back into the picturesque mountains.... First we will stop in Verkhovyna, a region which is at the very heart of Hutsul traditions. Here you can enjoy the tremendous beauty of Sub-Carpathians forests, dip your feet in the Cheremosh River, talk to the local people, and feel at one with nature... We will pass through the beautiful village of Kryvorivnia, whose beauty made it a popular resting place and a source of inspiration for Ukrainian writers and historians, then stop a Bukovets to see its famous ancient church! Finally, we will pass through the village of Yavoriv, famous for its Lizhnyky - homespun woollen blankets, made using methods dating back hundreds of years, and are so unique they cannot be found anywhere else! To end our day of wanderings, we will arrive in Kosiv, known as the capital of folk art of Hutsulschyna, where we will retire for the night. Waking up in Kosiv, we will take a trip to the infamous Kosiv Crafts Bazaar. This weekly bazaar is a kaleidoscope of colours, where local craftsmen skilfully produce and sell pysanky (Ukrainian Easter eggs), jewellery boxes, wooden items such as sculptures, spoons, and bowls, traditional leather belts, pottery, embroidery, jewellery and so many other things! You won’t know where to look! After exploring the bazar, take some time to explore the charming town of Kosiv, where you can visit the unique Museum of Folk Art and Hutsulshcyna Life (optional - take a master class in Hutsul folk craft), relax in the hotel sauna, go hiking in the legendary Karpaty, or just enjoy the stunning view of the mountains! A final bit of exploring today! After breakfast we will depart from Kosiv to Kolomeya, a charming town on the river Prut. You will have some free time to explore the historic core of the city, visit a local cafe, stop in a historic church and, of course, shopping! 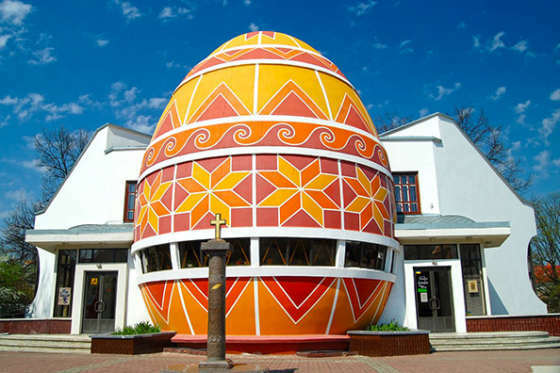 After you will get the chance to visit the main attraction in Kolomeya – their Pysanka Museum - the world’s only cultural institution where works of Easter egg painting are stored and exhibited! You will not fail to be amazed by the sheer variety of Pysanky on display here! Sadly our Carpathian Mountain tour comes to an end, as we depart back to the beautiful Lviv. Consider joining us for a 4 day tour of Lviv!